Featuring a full layout in a compact 14-inch form factor, the HP USB POS Keyboard offers optimum space efficiency in retail environments with limited room. Its robust design also offers spill and dust-resistant keys. 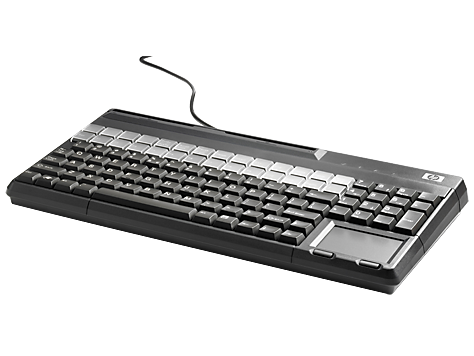 The HP USB POS Keyboard is compatible with HP rp3000, rp5000 and rp5700 Point of Sale Systems. NOTE: Not all models are available in all regions. Your HP branded Peripheral Limited Warranty is a three (3) year (HP Option Limited Warranty Period) parts replacement warranty.